It’s that time of the year when the Boycott, Divestment and Sanctions movement launches its infamous “Apartheid Week” on university campuses. “Apartheid Week” is just the climax of a yearlong activity on campuses where BDS is most active in promoting an anti-Israel and anti-Zionist agenda, which calls for a widespread boycott of Israel. While many view BDS as mostly “Israel’s problem,” its antisemitic roots and rhetoric should worry Jewish communities across the world and especially American Jews. The concept of boycott, divestment, and sanctions against Israel is not new. Even before the BDS movement’s creation, Jews and Israel had to fight for their place in the global economy while being boycotted by the world's Arab nations. Nevertheless, Israel was able to establish a thriving economy, join leading intergovernmental economic organizations such as the OECD and become one of the world’s innovators in Hi-Tech, Bio-Tech and Security. However, the danger with BDS is not only the potential economic damage to Israel but rather its deep-rooted antisemitism that spreads through its activism across campuses. Where BDS goes, antisemitism follows. Naturally, this is a cause for concern for Israel but, the danger doesn’t stop there. According to the ADL’s recent Anti-Semitic Incidents report, in 2017 in the US alone, there was an 89% increase in antisemitic incidents on college and university campuses, where BDS is most active. 90 reported incidents constituted actual harassment and another 114 were antisemitic vandalism. 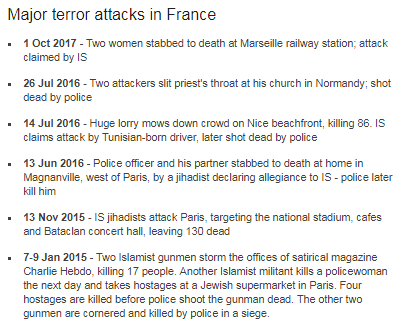 It’s important to remember that these figures were compiled from reported incidents, so the real numbers are in all likelihood much higher. Just a year ago, the universities of Central Lancashire and University College London in the United Kingdom canceled “Apartheid Week” on their campuses, acknowledging that it violated British laws against antisemitism. The BDS movement has long flourished on college campuses in the UK, but the acknowledgment that BDS equates to antisemitism was the most effective challenge to the movement so far. In the United States, the increase in antisemitic incidents on campuses is enough to suggest a worrying emerging picture. Besides the BDS antisemitic strategy to delegitimize the only Jewish state and to put it to different standards from the rest of the world, the BDS hides behind its argument that it is not antisemitic but “anti-Zionist”, all the while seeking to blur the distinction between the two concepts. On the one hand, it disregards Jews’ right to self-determination, despite promoting its distorted definition of Zionism as a “colonialist” power that seeks to “take over control of land and resources and forcibly remove Palestinians” and engages in “ethnic cleansing.” Even more so, it seeks to rewrite any manifestation of Jewish identity that does not fit its propaganda. In doing so, all Jews are referred to as “Whites” in an attempt to align Jews with colonialist powers, the South African apartheid regime, and the white supremacy movement. The only time that Sephardi Jews or Ethiopian Jews are mentioned, is when propagating the lie that the “White” Jews are “also” committing genocide against Sephardi Jews. Please join me here in discussion with Avi Abelow of Israel Unwired. We’re talking about the explosive row over Jeremy Corbyn and the Jews, and the appointment of John Bolton as National Security Adviser. Israel provides a safe haven for gay Palestinians fleeing persecution and honor killings, Rabbi Shmuley Boteach told Breitbart Jerusalem, noting the Jewish state’s equal treatment of the LGBT community in all aspects of civil and military life. The Orthodox rabbi, who heads up the World Values Network, said that many LGBT Palestinians seek asylum in Israel after facing death in their hometowns either by their families or even the Palestinian police. “Israel’s laws protect human rights. LGBT Palestinians suffer beatings, imprisonment and even death at the hands of their families and the police,” Boteach said. “Many are lucky enough to escape to Israel,” he added. Boteach noted that in Israel members of the LGBT community — as with any other minority community — are afforded the same rights as everyone else. “Gay Israelis can be members of parliament, serve openly in the military and are protected by law, whether or not people agree with their lifestyle,” he said. B’Tselem’s report “Minors in Jeopardy,” was funded by UNICEF and echoes the claims of Defense for Children International – Palestine (DCI-P), UNICEF, Military Court Watch (MCW), and its own 2012 and 2015 reports on the subject. This practice of “copying and pasting” and the financial support provided by UNICEF demonstrate the close coordination between Palestinian, Israeli, and international non-governmental organizations (NGOs) in a concerted effort to falsely accuse the IDF of systematically violating the rights of Palestinian minors in order to impose sanctions against Israel. A central objective is to pressure the UN Secretary-General to blacklist the IDF by including it in the Annex to his annual report on grave violators of children’s rights, alongside terror groups like ISIS, Boko Haram, and Al-Qaeda. UNICEF and a number of NGOs, including B’Tselem, DCI-P, Palestinian Center for Human Rights, Save the Children, and Watchlist are leaders of this dimension of the campaign. DCI-P, as well as other UNICEF partners, have ties to the Popular Front for the Liberation of Palestine (PFLP) – designated as a terrorist organization by the US, EU, Canada, and Israel. The timing of B’Tselem’s report is part of annual NGO efforts in March, before the Secretary-General releases his report. The University of Ottawa, in Canada’s capital city, on Sunday rejected for the third time a motion to endorse the anti-Israel Boycott, Divestment and Sanctions (BDS) movement. B’nai Brith Canada applauded the students for defending human rights and defeating the motion. The Board of Administration of the Student Federation of the University of Ottawa (SFUO) had rejected the motion after having already disapproved an almost identical motion in November. BDS was also defeated at a general meeting of the SFUO earlier in March. Just days before the vote, a Jewish student with assistance from B’nai Brith filed a complaint with the University of Ottawa’s Human Rights Office, alleging anti-Semitic and anti-Israeli discrimination by the SFUO and its leadership. B’nai Brith has consistently argued that the proposed BDS measures are not only immoral, but also illegal, insofar as they violate the SFUO’s own anti-discrimination policy, it said in a statement. The organizations were set to protest outside Parliament in London Monday before delivering the letter to a meeting of Labour lawmakers. “Today, leaders of British Jewry tell Jeremy Corbyn that enough is enough,” the letter says. The final straw that triggered the letter was a Facebook comment from 2012 that recently came to light. Corbyn had offered support to a street artist whose mural in east London depicting bankers playing Monopoly on the backs of the poor was about to be swiftly removed. This evening at 17:30, members of the Jewish community and friends who stand with us against racism will meet in Parliament Square, to make our feelings known to the Parliamentary Labour Party which will meet at 18:00 to discuss the recent revelations about Jeremy Corbyn. We will be there as part of a broad show of communal disgust and outrage, and to demand that the Parliamentary Labour Party discusses Campaign Against Antisemitism’s disciplinary complaint against Mr Corbyn. We encourage those who are able to attend to do so. Last night we rejected Mr Corbyn’s attempt to escape responsibility by apologising. Today it has emerged that he signed up to a third antisemitic Facebook group. A leading British antisemitism watchdog is planning a major rally to be held in London in opposition to the rise in Jew-hatred in the Labour party. Since Jeremy Corbyn and his far-Left Momentum movement took over leadership of Labour, the party has been beset with antisemitism scandals. Most recently, it emerged that Corbyn himself had supported a mural replete with antisemitic imagery. He later apologized. Corbyn also ran into trouble when it was revealed that he was a member of a Facebook group called Palestine Live whose members regularly trafficked in antisemitic and anti-Israel rhetoric. Prominent Labour members Jackie Walker and former London mayor Ken Livingstone were suspended from the party after making antisemitic remarks. Gideon Falter, Chairman of the UK’s Campaign Against Antisemitism group, told The Algemeiner, “Under Jeremy Corbyn, the Labour Party has been seized by racists. Jeremy Corbyn is at home amongst them, having spent his political career seeking out and giving his backing to Holocaust deniers, genocidal antisemitic terrorist groups, wild antisemitic conspiracy theorists and a litany of Jew-haters. The CAA is expecting a large turnout. A previous rally held by the CAA in 2014 was attended by 4,500 people. In response to our earlier disciplinary complaint and call for a national demonstration, Jeremy Corbyn has issued a statement of apology. Mr Corbyn said: “Labour is an anti-racist party and I utterly condemn antisemitism, which is why as leader of the Labour Party I want to be clear that I will not tolerate any form of antisemitism that exists in and around our movement. We must stamp this out from our party and movement. “We recognise that antisemitism has occurred in pockets within the Labour Party, causing pain and hurt to our Jewish community in the Labour Party and the rest of the country. I am sincerely sorry for the pain which has been caused. “Our party has deep roots in the Jewish community and is actively engaged with Jewish organisations across the country. We are campaigning to increase support and confidence in Labour among Jewish people in the UK. I know that to do so, we must demonstrate our total commitment to excising pockets of antisemitism that exist in and around our party. The head of the so called Jewish Voice for Labour is Jenny Manson. Though for some reason she got her own name wrong and signed it ‘Mason’ on a list of about 20 dodgy Jews who are shilling for Jeremy Corbyn. So naturally the hard left Labour Party leadership want to push JVL to the fore. Note above that Manson says she has been in meetings with Corbyn and Chakrabarti’s staff to talk about tackling accusations of antisemitism, she said that a week ago. Shadow Chancellor John McDonnell says he hopes Manson will be the Parliamentary Candidate for Labour for the constituency of Finchley and Golders Green. This is of course far from the first time that the BBC has refrained from unambiguously informing its audiences that content at the centre of a controversy is antisemitic. However, with concerns about antisemitism within the second largest party in the UK parliament now prompting the mainstream British Jewish community to take such an action for the first time in decades, it is obviously essential that Britain’s national broadcaster be capable of providing its audiences with a clear and accurate view of the story. And that necessarily includes being able to unambiguously describe antisemitism as such – without the equivocal punctuation and qualifying terminology all too frequently seen in BBC content. Jeremy Corbyn has been active in one anti-Semitic Facebook group. He was a member of a second anti-Semitic Facebook group until last week. And now Guido can reveal he personally joined and is still a member of a third Facebook group filled with extremely anti-Semitic content. The difference with the other groups is that Corbyn personally and actively joined “The Labour Party Supporter”. He was not added by anybody else. “The Labour Party Supporter” is full of anti-Semitic postings about the Rothschilds, Jews harvesting organs, the Holocaust and conspiracy theories linking Israel and ISIS. Corbyn remains a member of the group this morning. New German Foreign Minister Heiko Maas visited the Yad Vashem Holocaust memorial and museum in Jerusalem on Sunday, at the start of a two-day visit to the region. Maas toured the museum's Hall of Names and attended a memorial ceremony at the Hall of Remembrance. Later on Sunday, he met with Israeli President Reuven Rivlin. "We must keep the memory," Maas said at the memorial. "Germany is responsible for the most cruel crimes in human history. For us, the Holocaust is both a warning sign and a commitment to work around the world for human rights and for tolerance. We should object to anti-Semitism and racism and act against it every day, everywhere." A strong advocate of minority rights, Maas also sharply condemned rising anti-Semitism in Germany following a recent incident at an elementary school in Berlin. Millions of severe allergy sufferers are at high risk of going into anaphylactic shock, a serious allergic reaction that can cause death within minutes. The severe reaction can be treated with the EpiPen, a pen-like autoinjector that is used to deliver the life-saving medication epinephrine. Unfortunately, many allergy patients don’t carry, or forget to carry, their medication with them at all times. In the case of sudden anaphylactic shock, these patients are completely dependent on the timely arrival of emergency services. To address this problem, Prof. David Schwartz and doctoral students Michael Khalemsky and Michal Gaziel Yablowitz, from the School of Business Administration at Bar-Ilan University, worked closely with MDA’s team, led by Dr. Eli Jaffe, to create the “EPIMADA” app. Launched recently, it already has hundreds of registered users in Israel. Bronze coins, the last remnants of a four-year Jewish revolt against the Roman Empire, were found near the Temple Mount in Jerusalem. They were now discovered by Hebrew University archaeologist Dr. Eilat Mazar during renewed excavations at the Ophel, located below the Temple Mount’s southern wall. 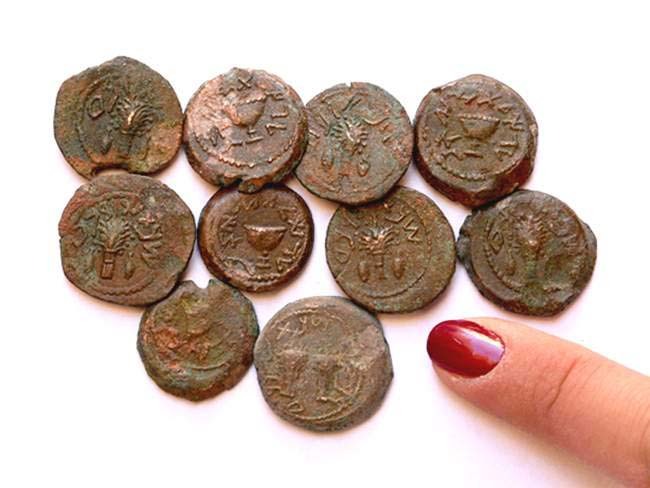 These 1.5cm bronze coins were left behind by Jewish residents who hid in a large cave (21×42 ft.) for four years (66-70 C.E.) during the Roman siege of Jerusalem, up until the destruction of the Second Temple and the city of Jerusalem. While several of the coins date to the early years of the revolt, the great majority are from its final year, otherwise known as “Year Four” (69-70 CE). Significantly, during that final year, the Hebrew inscription on the coins was changed from “For the Freedom of Zion” to “For the Redemption of Zion,” a shift that reflects the changing mood of the rebels during this period of horror and famine. “A discovery like this—ancient coins bearing the words ‘Freedom’ and ‘Redemption’—found right before the Jewish Festival of Freedom, Passover, begins, is incredibly moving,” Dr. Mazar noted. In addition to Hebrew inscriptions, the coins were decorated with Jewish symbols, such as four plant species mentioned in relation to the Sukkot holiday: palm, myrtle, citron and willow, and a picture of the goblet that was used in the Temple service.